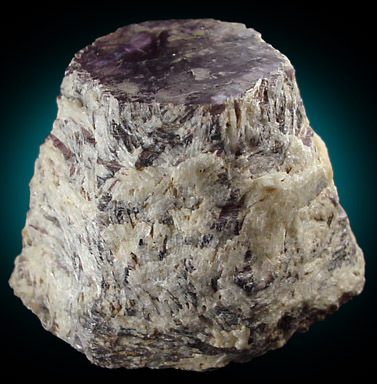 Large, tapered crystal of lepidolite mica with lilac-purple color visible on the terminations. The crystal tapers from 7 cm across down to 3 cm across. Complete and undamaged. Overall size of mineral specimen: 7x5x5 cm. Size of individual crystals: 7 cm.